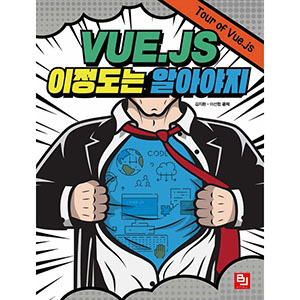 Vue 인스턴스에서 사용되는 메소드. this 컨텍스트를 Vue 인스턴스에 바인딩 합니다. 계산된 속성. getter와 setter는 자동으로 this 컨텍스트를 Vue 인스턴스에 바인딩 합니다. options 속성이나 콜백에 created: () => console.log(this.a) 이나 vm.$watch('a', newValue => this.myMethod()) 와 같은 화살표 함수 사용을 지양하기 바랍니다. 화살표 함수들은 부모 컨텍스트에 바인딩되기 때문에, this 컨텍스트가 호출하는 Vue 인스턴스에서 사용할 경우 Uncaught TypeError: Cannot read property of undefined또는Uncaught TypeError: this.myMethod is not a function와 같은 오류가 발생하게 됩니다.